It’s that time of the semester! Advising for Spring 2019 is approaching. Advising will take place from Monday, October 15th to Friday, October 26th. During this time, ALL IDS MAJORS MUST visit the IDS Office and speak with either Matthew Cheney or Hannah Hounsell about your upcoming semester and receive your registration pin/ registration date. 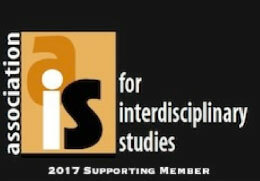 Please note, if you are currently enrolled in IP 2225 Introduction to Interdisciplinary Studies, Matt will be completing advising in class. For all other IDS majors, we will be doing advising on a walk-in basis. Please review Hannah’s and Matt’s office hours below and plan on coming in to Lamson Library 003 for a meeting. On average, plan on putting aside about 30 minutes for it. In order to prepare for this meeting, review your Planning Guide and Degree Works to get an idea of what courses you should be taking in Spring 2019. As we have to advise almost 100 of you brilliant students, please be patient and proactive! See you all in the incoming weeks! « Welcome Our New IDS Team Members!